TSLRCM Hssiss Glitch Restored INSTALLATION: Place a_jedi_jrnl_fin.ncs in your Star Wars - KotOR2 Override folder. UNINSTALLATION: Delete a_jedi_jrnl_fin.ncs from your Star Wars - KotOR2 Override folder. 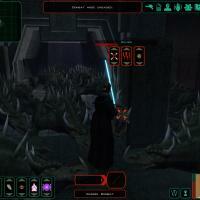 DESCRIPTION: The Hssiss glitch was a glitch found in "Knights of the Old Republic II: The Sith Lords." It was commonly used to obtain infinite experience, as you could use it to spawn groups of Hssiss endlessly and kill them, then rinse and repeat. "The Sith Lords Restored Content Mod" restores massive amounts of gameplay. It also fixed many bugs and glitches from the original game, including the Hssiss glitch. This mod restores the Hssiss glitch to the game if you use TSLRCM, as most seem to. You can use it to gain endless experience without having to use the cheat console or a third party character editing software, but rather a glitch that came with the original game. Both the cheat console and Kotor Save Editor would be much faster/easier ways of getting "infinite" experience, but the Hssiss glitch maybe feels more fun & less cheap? I don't know... It is for me! The mod simply restores the original script, I did nothing but extract it with Kotor Tool and put it in my Override, which worked. Therefore, I did no coding or original work of any kind, thus no .nss file is included. Also, no credit or special permission is required to use or repost this elsewhere as it contains nothing original. HOW TO USE THE GLITCH: On Korriban, find the Shryak Caves just around the corner after you leave the academy. Go through the caves and at the end you will find the Secret Tomb. After the second vision (which involves landmines), follow the tunnel east to the fork and go right (you will be facing south on the map). Follow this tunnel to a room where you will find a Dead Jedi. Every time you activate the corpse, 2 Hssiss will spawn in the room. TIPS: You can examine the corpse a bunch of times in a row to fill the room with Hssiss. Area of effect powers like Force Storm and Death Field are most effective in dispatching hords of Hssiss. Light side characters do not regenerate Force Points, so consider using Master Drain Force. Once you exit the tomb, you will be unable to come back in and continue using the glitch. 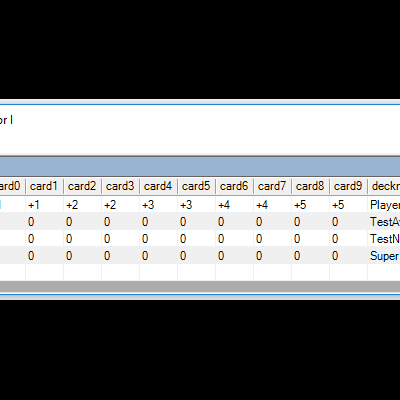 ############################ # DESCRIPTION ############################ The "Pazaak Wizard" mod replaces all pazaak card deck of other players by 0. This mod has been made for KotOR. ############################ # REQUIREMENTS ############################ - Kotor1 installed (Retail/Gog/Steam version) ############################ # COMPATIBILITY ############################ - Should be compatible with any mod that does not affect pazaak decks. ############################ # HOW TO INSTALL ############################ Recommended Method : TSLPatcher Method. Go to the TSLPatcher/ folder and execute "TSLPatcher.exe". This method will only modify few lines in "pazaakdecks.2da", preserving compatibility with other mods that already have modified this file. Alternative Method : Override Method. 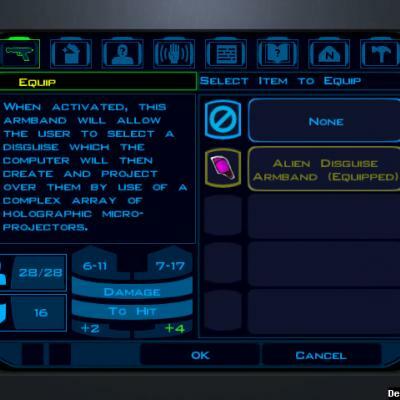 Copy the content of the override folder in the override/ folder of Kotor1. Feel free to leave a comment/question/request bellow. Cheers, aazlm THIS MODIFICATION IS NOT MADE, DISTRIBUTED, OR SUPPORTED BY BIOWARE, OBSIDIAN, OR LUCASARTS ENTERTAINMENT COMPANY LLC. ELEMENTS TM & © LUCASARTS ENTERTAINMENT COMPANY LLC AND/OR ITS LICENSORS.